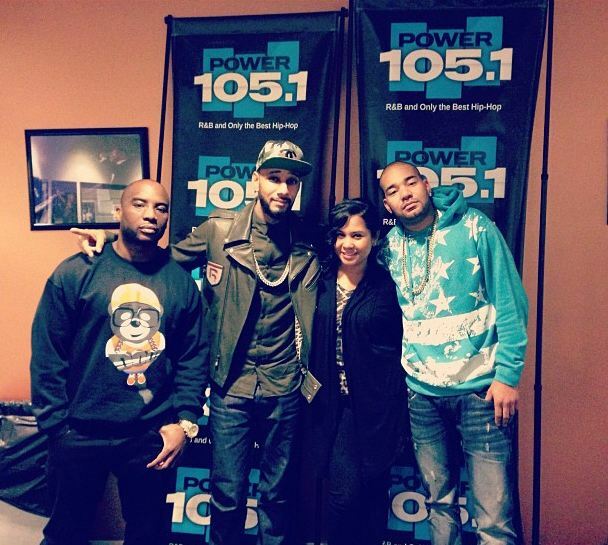 With “Everyday Birthday” climbing the charts and countdowns by the second in preparations for his upcoming album Haute Living, Swizz Beatz was the next artist to stop by the Breakfast Club to discuss rumors and a whole list of various topics. Here, Swizz speaks about being named the Global Ambassador for the New York City Health and Hospitals Corporation in September. Swizz also speaks on his past tax problems which caused him to be more responsible and also new music he’s working with including Alicia Keys and the Lox. Speaking of the Lox, Swizz Beatz speaks about his need to do a reunion Ruff Ryders album which we all want to see with DMX, Eve and the rest of the camp back on Swizz’ Beatz.